All of our rooms are simple with all handmade, custom furniture, small detailed amenities to make your stay comfortable, yet each has a unique look & feel. 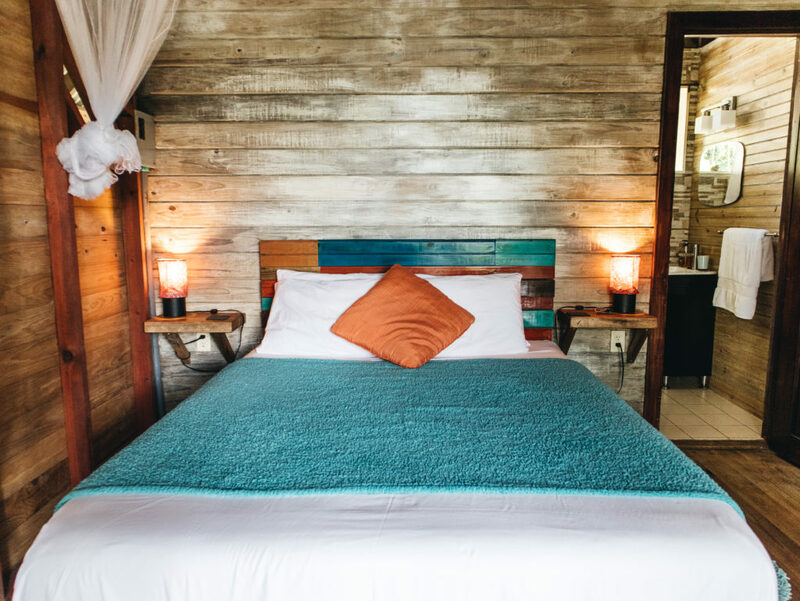 Each room features queen sized comfortable beds with high quality linens, beach towels, private bathrooms with large stand up hot water showers, mini-refrigerators, coffee makers, mosquito nets and room safes. Ceiling and/or floor fans come in each room – combined with the breeze from the ocean up to our hill helps you stay cool at night. Free WiFi is available throughout the property, including in the guest rooms. We have four rooms total. two rooms feature a kitchenette equiped with table top burners and all the cooking and eating utensils might need, as well as basic pantry items (oil, salt, pepper, dish soap). One room features a sitting area with sofa bed. 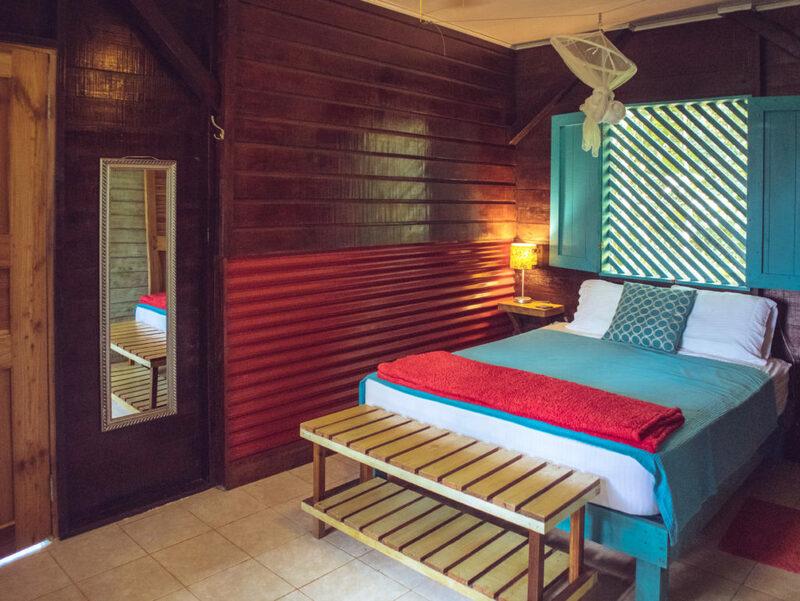 We also have one room that’s a stand alone, separate cabin for 100% privacy. We also offer discounts if more than one room is rented simultaneously by the same customers…details can be discussed upon request. We have a 1 night minimum stay during low season, a 2 night minimum stay during high season and a 3 night minimum stay during the holidays. 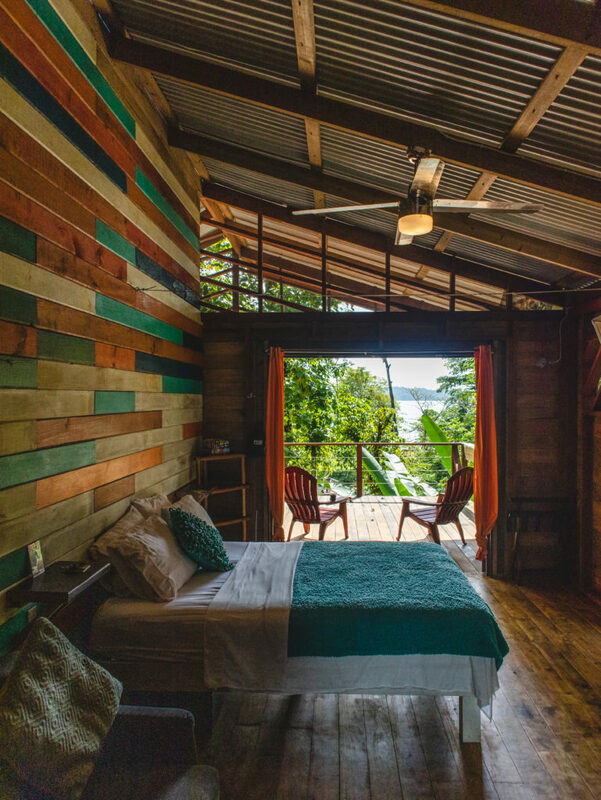 Each room has a guide book to help with house rules and general information, recommendations, local emergency contacts, and other information to help you get around and enjoy Bocas del Toro! Toiletries are available upon request, and we provide all guests with free bicycles (up to 2 per room) to make your stay more convenient. As we are on a rain water catchment system, we try to conserve water as much as possible, and thus we change linens after every 3rd night of your stay, unless requested or discussed otherwise. However, free daily housekeeping is an option upon request – we will check with you each morning at breakfast to see what is needed. We respect our guests privacy and we will not enter your room unless it has been discussed in advance, unless it is an emergency. We live onsite, on the 2nd floor of the main house. We are always around on the property from around 7:30 am – until 12 noon, in case you have any questions or need help with anything. After that, we can be reached on WhatsApp. Surf Break at Paunch is not for everyone. We are a small operation, in a private, quiet area outside of town, with sounds of nature and wildlife around us at all times. 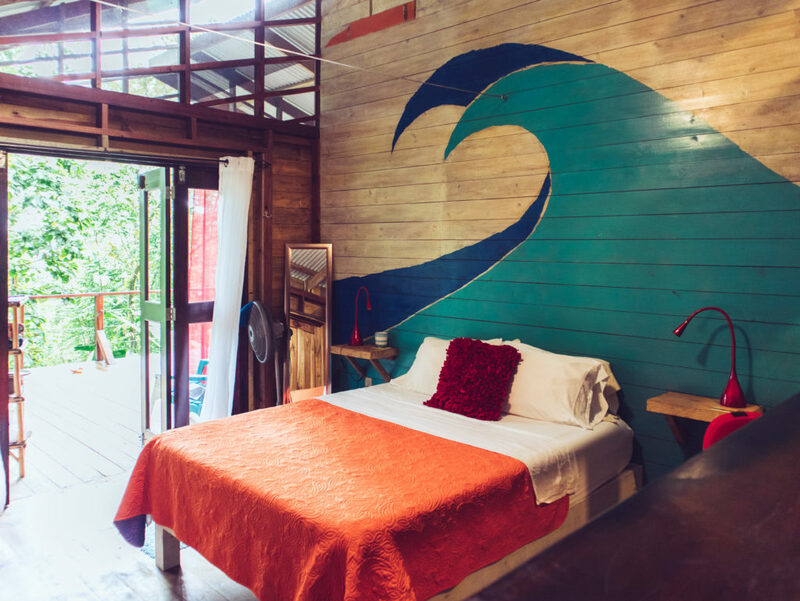 Before you make a reservation, be sure to read through the Travel Tips section as well as the Policies and House Rules page to be sure Surf Break at Paunch will be a good fit for you and so that you are aware of what to bring, what to expect, etc.